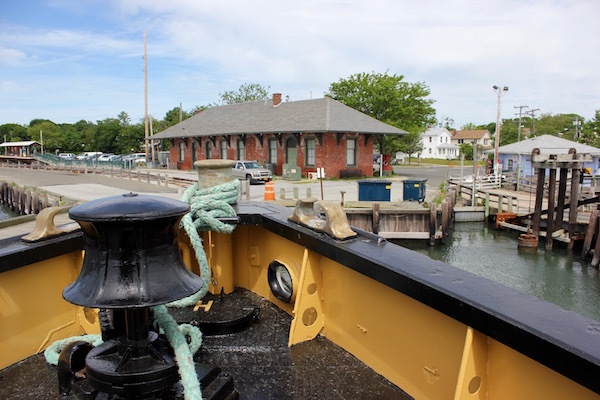 Fire Fighter returned to Greenport Thursday night. 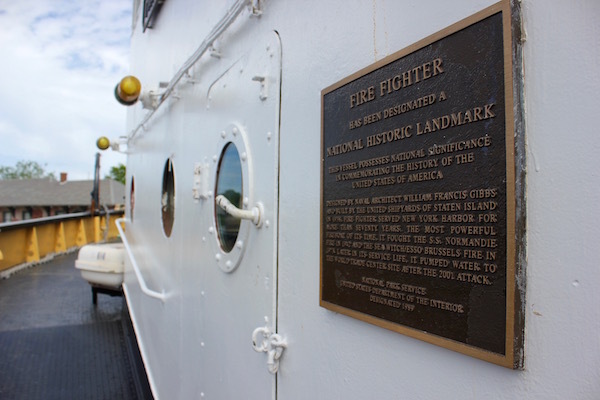 In the dead of the night overnight June 8, the FDNY Fireboat Fire Fighter returned to Greenport, after spending the winter getting an overhaul at Goodison Shipyards in Rhode Island. 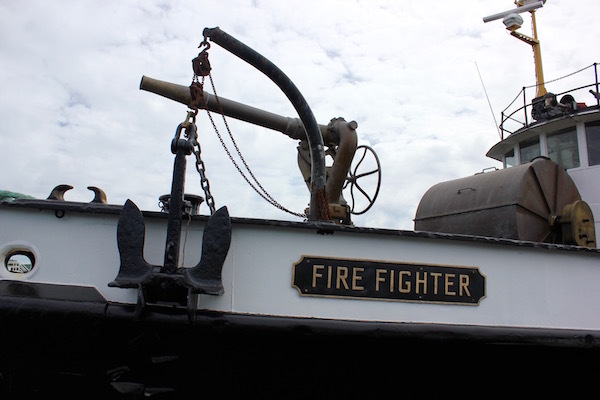 Fire Fighter will be open at the Railroad Dock by the ferry to Shelter Island for tours this weekend, June 10 and 11, from noon to 5 p.m. 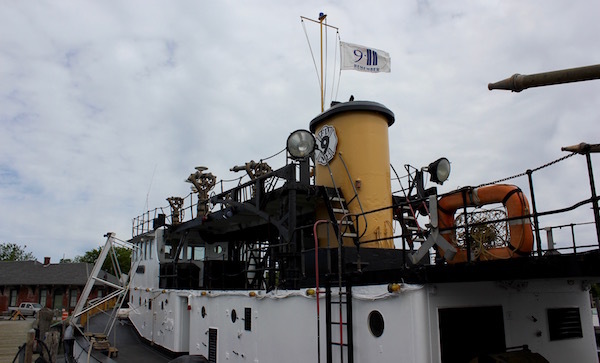 The boat, first launched in 1938, is now a floating museum after being taken out of service and replaced in 2010. 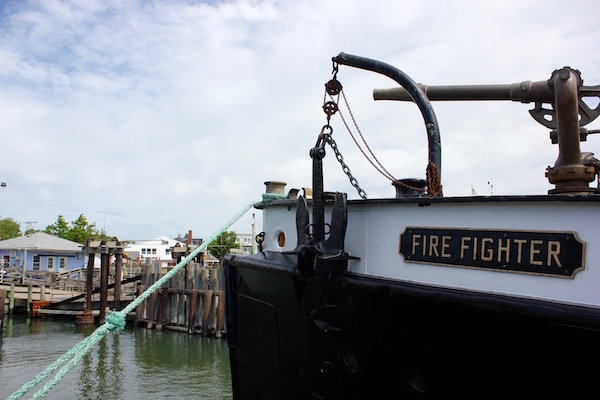 She arrived in Greenport in the winter of 2013, and has since attracted a crew of devoted volunteers, who give tours, oversee repairs, paint and polish the brass on one of the city’s most storied fireboats. 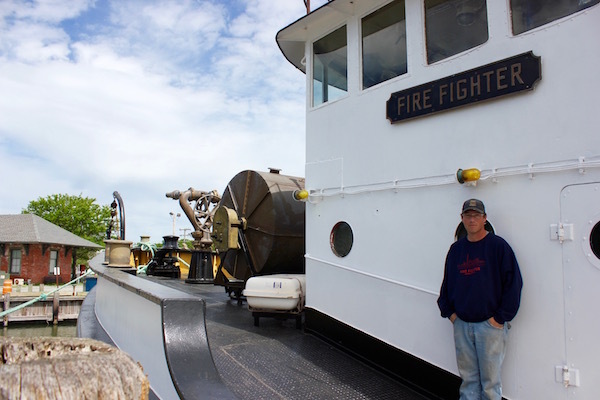 Volunteer Ben Heins of Mattituck was on the dock Friday morning working to ready the boat for opening day Saturday. 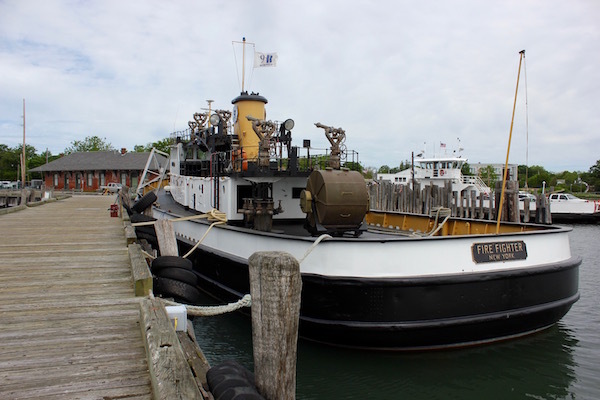 He’d been among the group of a half-dozen volunteers who met for dinner Thursday evening to plan out the season’s museum displays and tours while waiting for the fireboat to arrive under tow from Rhode Island. 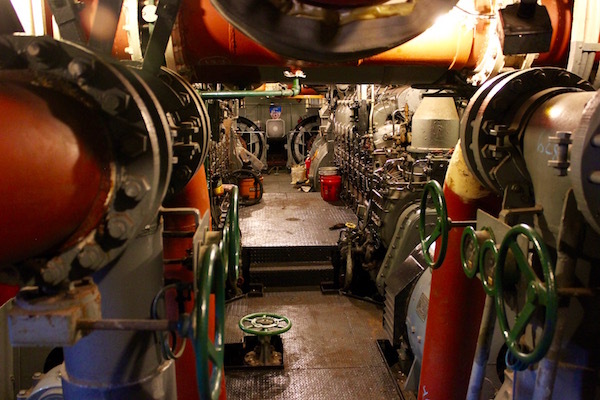 They’re expecting to have the boat’s engine room put back together shortly. 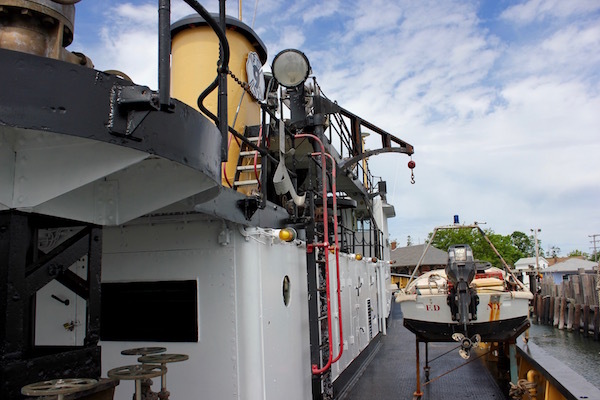 This winter’s overhaul included a complete set of soundings of the hull to ensure that it was still sound after nearly 80 years of service in busy waterways that are prone to electrolysis, said Mr. Heins, as well as a complete repainting of the hull to its original black-and-white work boat color scheme. 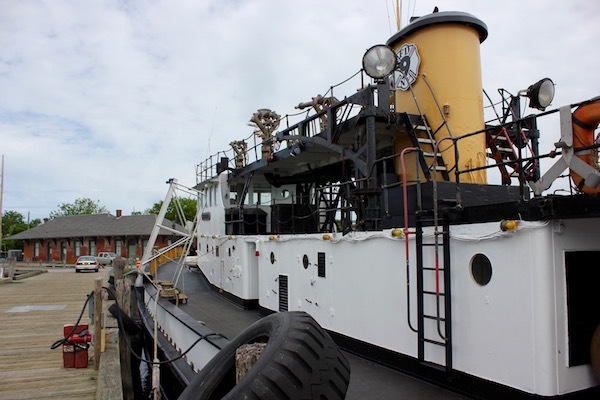 Volunteers are now embarking on some detailed painting below decks, and on polishing the brass to bring it back to its best shine. 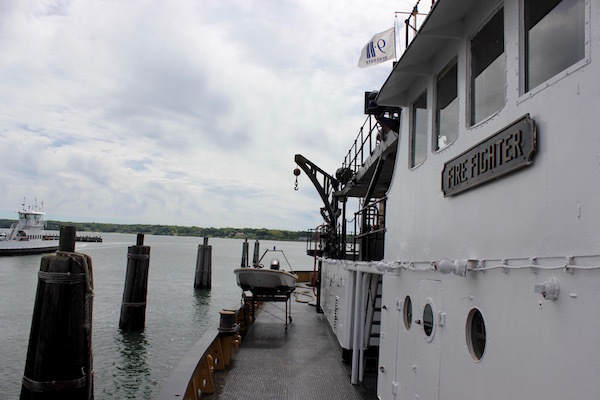 The crew is looking for volunteers for the season ahead. 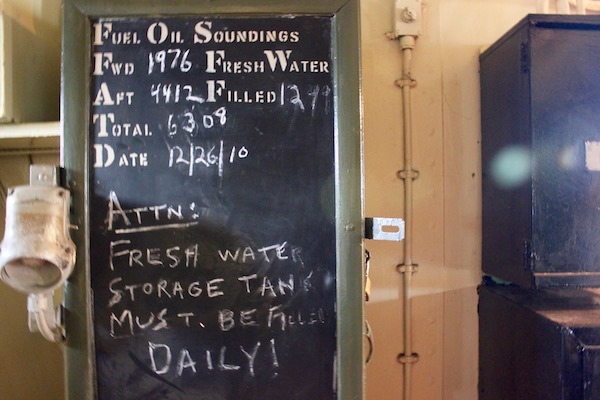 More details are in their Craigslist posting, online here.